A regional panel got an update on the 16-mile light rail project designed to link areas of Prince George’s and Montgomery counties. WASHINGTON — While some Montgomery County residents continue to fight Maryland’s Purple Line, a regional panel got an update on the 16-mile light rail project designed to link job centers in Prince George’s and Montgomery counties by 2022. 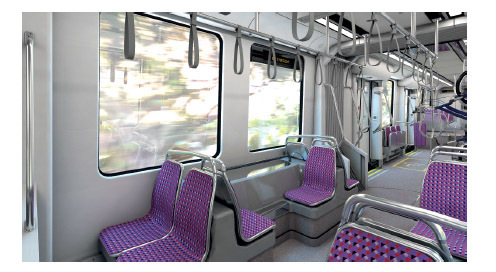 Among the questions that came up in Wednesday’s Transportation Planning Board meeting, one was prevalent: How much will riders pay to use the Purple Line? “We’ll have a fare policy committee that we’ll be setting up, but for all of our projections, we’ve been using a $2 base fare,” Chuck Lattuca, with the Maryland Transit Administration, told the panel at the Metropolitan Washington Council of Governments. With the D.C. region’s Metro system getting added scrutiny, members of the transportation planning board got the message from Lattuca that Maryland’s public-private partnership with the contractors will put the onus for performance and maintenance on the business partners. Prince George’s County Councilman Todd Turner, who sits on COG’s transportation committee, said he’s eager to see the project completed. “It’s been almost 20-25 years in the making, and it will benefit both counties,” he said. Turner pointed to the incentives built into the deal as having implications that go well beyond the Purple Line project itself. “A lot of the risk is more so on private business than the state, so hopefully it’s setting a precedent for this region on how to move forward with our infrastructure,” Turner said.